Charles Edward Pelfrey, 68, of Evensville, died on Friday, April 20, 2018, at his home. He was born on Sept. 7, 1949, in Rhea County to the late Robert “Luke” Pelfrey and Lizzie (Stinnett) Pelfrey. He was also preceded in death by his sister, Kathleen Evitt, and numerous aunts, uncles and cousins. Charles was a lifelong resident of Rhea County. He served his country with the U.S. Army during the Viet Nam war. He was a Rhea County School bus driver and a member of the Bogles Chapel Church. 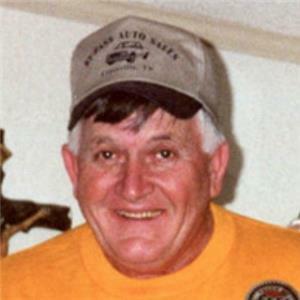 He is survived by his wife of 46 years, Linda Gail (Howard) Pelfrey, his son, Edward “Eddie” Pelfrey, his daughter, Crystal (Anthony) Smith, his grandson, Jacob Smith, all of Evensville; his brothers: Jim (Wanda) Pelfrey of Rockwood, Elmer (Connie) Pelfrey of Grandview; and his sister, Wanda Pelfrey of Dayton. Funeral services for Charles will be held Monday, April 23, at 3 p.m. in the funeral home chapel with Reverend Aaron Revis officiating. He will be laid to rest in Smyrna Cemetery in Evensville with Military Honors. Please share your memories of Charles on his online guest register at www.vanderwallfh.com. The family is being cared for by the Vanderwall Funeral Home in Dayton where they will receive family and friends on Sunday from 2-6 p.m.